Home › News and Reviews › Detroit Auto Show highlights – what can we expect in 2012? Detroit Auto Show highlights – what can we expect in 2012? The 2012 automotive show season officially kicked off last month in Detroit with the North American International Motor Show. Since the show began in 1907, professionals and car enthusiasts all over the world have always hotly anticipated the unveiling of a plethora of new concept and production cars from world’s best car manufacturers. Here’s the roundup of our favourite new models to hit the stage at the show this year – It’s looking to be an exciting next 12 months in the motoring world! The newest compact from Dodge is a sleek looking model which will boast electrically boosted power steering, greater fuel economy, and plenty of fancy gizmos including a UConnect Touch Media Centre and, wait for it… a heated steering wheel (for those extra cold mornings, we assume). 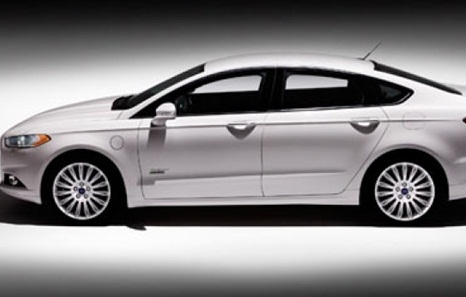 We’re rather excited about this latest offering from Ford. 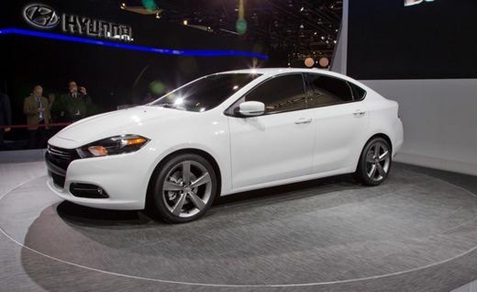 The 2013 Ford Fusion was unveiled alongside its NASCAR counterpart, and it features a choice of engines and standout fuel economy with their new EcoBoost engines. With plenty of extra optional gadgets including a Lane Keeping System, Blind Spot Information System (BLIS®) and Active Park Assist, the 2013 is set to be a great all-rounder with fuel economy, safety, and convenience all rolled into one. Forget about lithium ion batteries only for your camera or laptop – VW’s latest addition to their Blue-e-motion family of concept cars looks set to feature the very latest in zero-emissions technology. 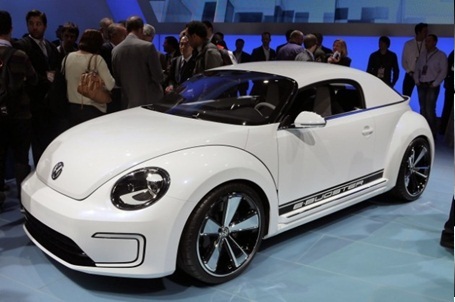 Powered by a 114-horsepower electric motor and a lithium-ion battery, the Volkswagen E-Bugster (the name is an amalgamation of “E” for electric, “Bug,” the American nickname for the Beetle, and “speedster”) can travel an impressive 100 miles, or 160km, on a single charge. It doesn’t look too bad either. 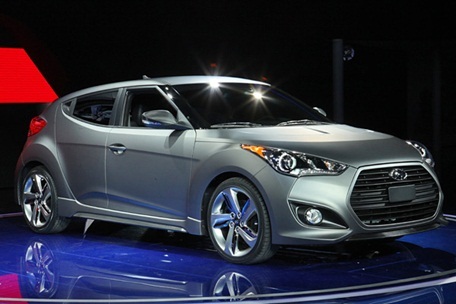 Another exciting unveiling at the Detroit motor show was Hyundai’s new Turbo variant of its three-door coupe, the Veloster. Sporting a twin-scroll turbocharger capable of 201 horsepower, it’s the perfect small, sporty model with an ideal mix of value, style and practicality. What do you think about the latest offerings from the Detroit Auto Show this year and will they make it to Australia?